South Korea's National Intelligence Service believes North Korea's tests for re-entry capabilities for it's ICBM programme have not been successful, despite North Korea's claims to the contrary. Seoul: South Korea's intelligence agency does not believe North Korea has secured re-entry capabilities for its Intercontinental Ballistic Missile (ICBM) programme, a South Korean lawmaker said on Tuesday, disputing Pyongyang's account. North Korea launched what was said to be a nuclear-capable ICBM last week as it presses on with its nuclear and missile programmes in defiance of United Nations sanctions. Pyongyang's state media said last week's test successfully verified the atmospheric re-entry of the warhead loaded on the test-launched missile, which experts say may be able to reach the U.S. state of Alaska. However, Yi Wan-young, who is also a member of South Korean parliament's intelligence committee, told reporters during a televised briefing that South Korea's National Intelligence Service has not been able to confirm that re-entry was successful. "Considering how North Korea does not have any testing facilities (for re-entry technology), the agency believes (North Korea) has not yet secured that technology," he said. Yi said the agency believed the missile launched last week was a modified version of the KN-17 intermediate range missile that was tested in May. 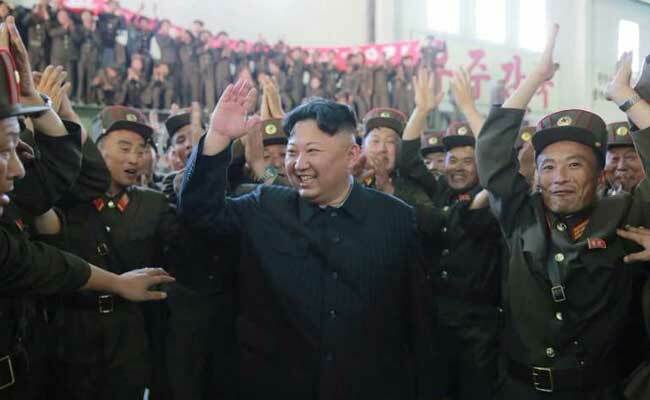 He also said the agency had not detected any unusual activity at North Korea's Punggye-ri nuclear test site.